Core Value #2: Community is essential. There is deep power in community and collaboration. By and large, we aren’t meant to go it alone. The myth of and belief in individualism in Western society is pervasive, yet at Startup Pregnant, we believe we are meant to live, work, raise families and grow businesses together. We aren’t born to live alone, and we’re not meant to parent alone, either. We are a social and communal species. 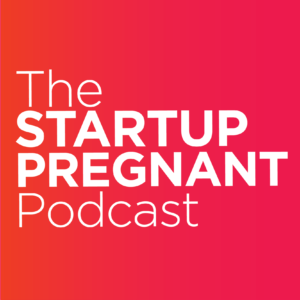 For us, this translates across our startup, business, parenting, and pregnancy lives — and how we build and embrace communities of support across all of these experiences. We need teams, we need diverse communities, and especially at the beginning of adventures in entrepreneurship and parenting, we need lots and lots of support. There’s an outsized burden on parents, and mothers, to try to do it all or somehow be everything to everyone. It’s an impossible goal, and something that sets us up for failure. Instead, we believe that it’s important to join diverse communities, to build teams of support, and to enlist in help, however possible. And if the community infrastructure doesn’t exist yet, it’s up to us to build it. The power of community is so strong that our relationship to our family lines, and the number of communities that we live within, make the difference in our happiness and our well-being. Listen in to today’s episode to hear more about the power of community. I’ve always been an avid believer that people need each other, and I’ve definitely needed people this year more than ever. The way those who care will show up for you if only you ask is powerful. Communicating that you need help displays power, not weakness. Jill, love this. We need each other, especially during these critical times — entrepreneurship and parenting. It’s our goal of this site to help support each other in finding resources, tools, and PEOPLE to help us through it all! Yes! In my work, I often say “the transition to motherhood requires the same level of customized support and strategy that any major business transition would require.” Isolation is not good for any of us – in work or in parenthood. Thanks for including this as a central tenet in your work, we need to keep shouting it from the rooftops!